"Today Show" film critic (Big Ole Mess) Gene Shalit might want to skip the awards shows for the next two months. The awards season is in full gear and it is clear that "Brokeback Mountain" is going to continue to shine. Ang Lee was named Best Director and Michelle Williams was a co-winner for Best Supporting Actress. There were 200 voting film critics. Perhaps Mr. Shalit can watch the film again with one of his peers and get a better understanding of the film. 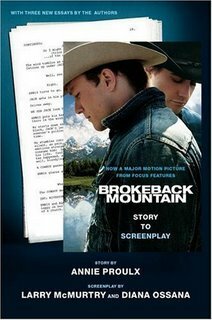 5 Stars - "Brokeback Mountain"
O Stars - "Gene Shalit of The Today Show"